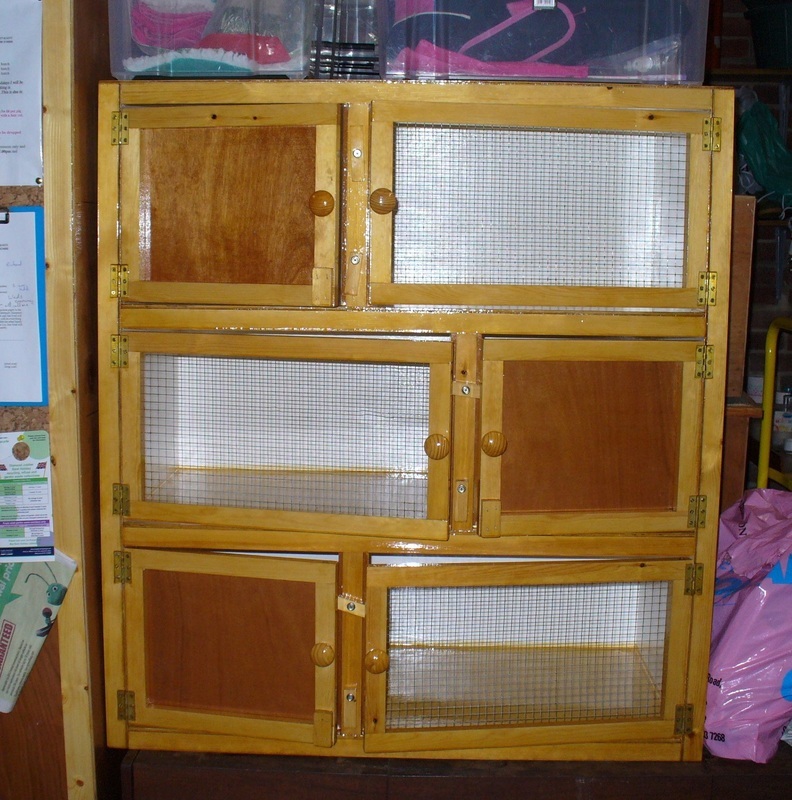 Here are some pictures of my garage where I keep my hutches. 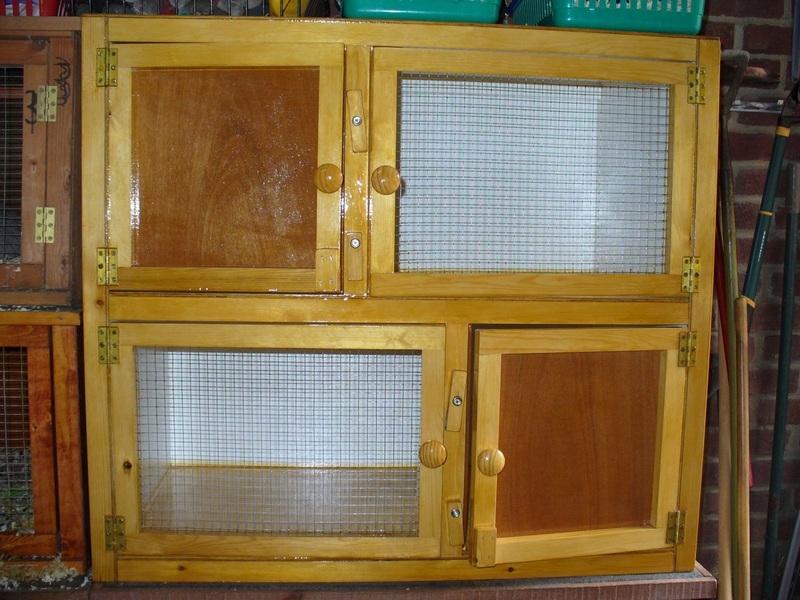 Here are my news hutches. 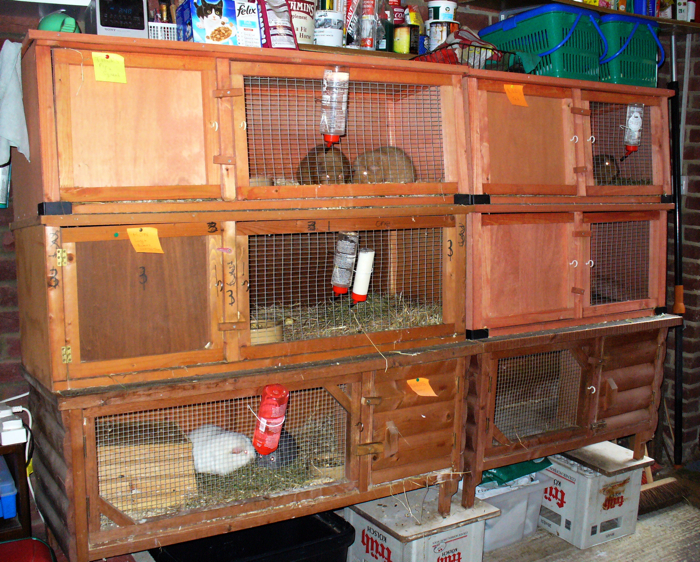 I have painted them white inside this time, which took a lot longer! I think they look very smart though, very pleased with them. 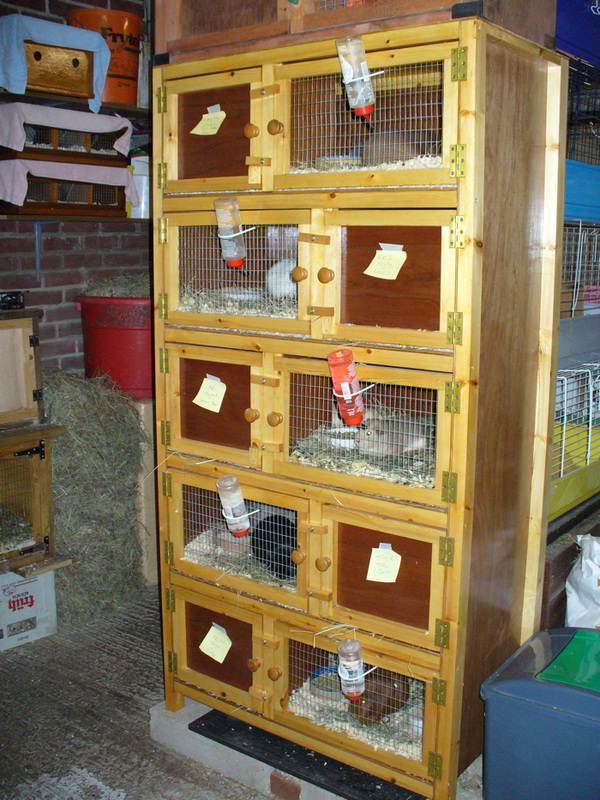 These 2 blocks and my tower block of 5 hutches were built by Adrian at Pet Properties. 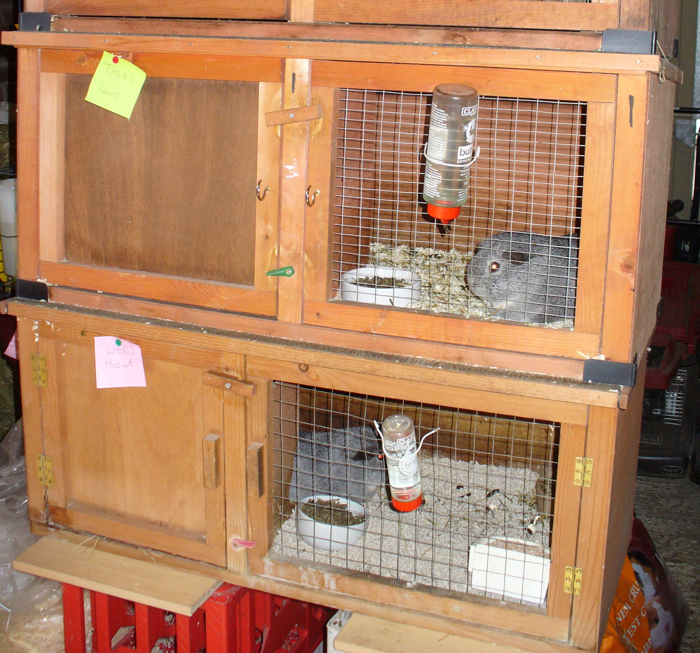 These are my most recent hutches that I finished in the Autumn of 2013. 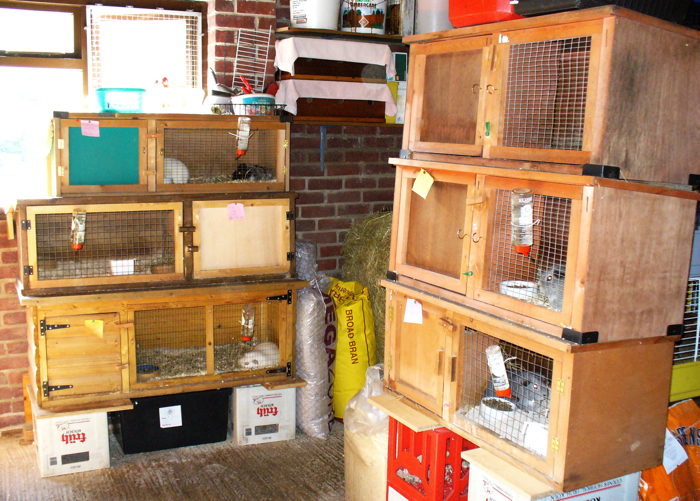 I have 2 blocks like this, so 4 new hutches.